The UK civil drone industry is undergoing a phase of exceptionally fast growth. HexCam Ltd started commercial operations in 2012, specialising in construction and environmental aerial photography and video using multirotor drones. Over the last three years the business has evolved to include flight training and consultancy. HexCam can provide basic flight training as well as advanced training to develop specific skills such as waypointed flight, survey flight and thermal imaging. 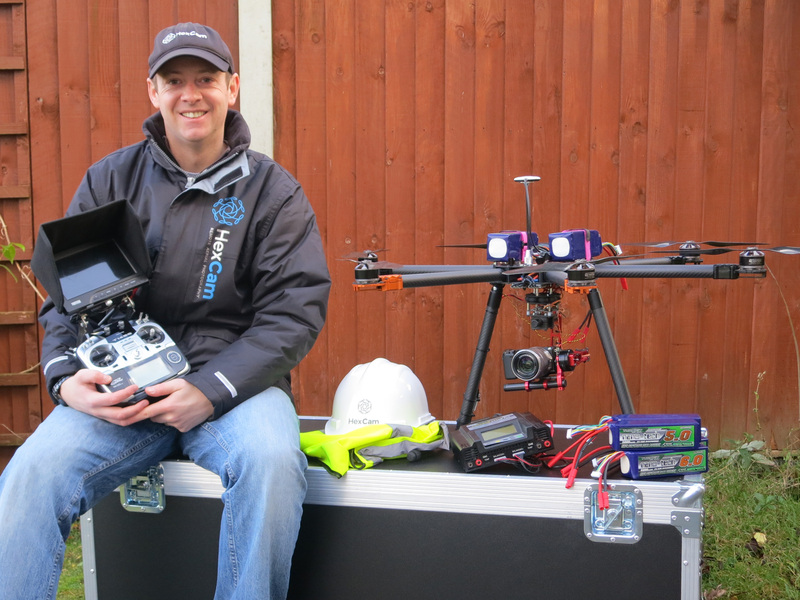 HexCam Ltd director Elliott Corke is now a director of The Aerial Academy. On 24th April 2015 The Aerial Academy was granted restricted NQE status by the UK Civil Aviation Authority. This means we can now offer flight assessments to provide the evidence required to apply for a CAA permission for aerial work. This service could be particularly relevant for people who already have current or lapsed manned aviation experience such as an EASA or UK licence, military qualifications, glider licences etc. Drones are becoming more widely used in onshore and offshore construction, surveying and monitoring in a variety of industries. If you require more information on hiring drone operators, equipment supply or training and assessment please visit www.hexcam.co.uk or www.theaerialacademy.com (01603 881985).